These lifeguards may not have been able to rescue three struggling swimmers from the vicious waves if it hadn’t been for the help of nearby civilians. 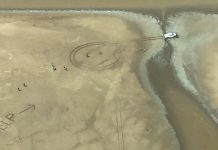 On a beach in Buenos Aires, Argentina, lifeguards spotted a trio of swimmers unable to escape from the ocean’s undercurrents. Though they immediately dashed into the water to rescue the people in distress, the waves were still too strong. 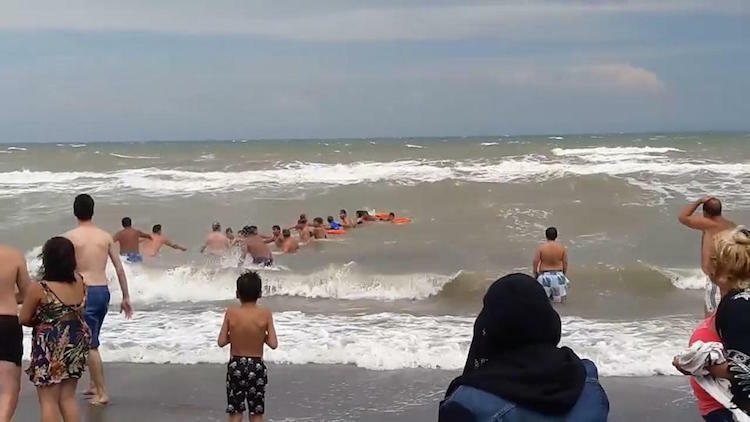 That’s when a dozen pedestrians leapt into action and formed a human chain to help pull the swimmers to safety. When everyone is successfully brought back to the shore, onlookers erupt into applause while the heroes exchange hugs and kisses in gratitude.